Meet your Bainbridge Island Realogics Sotheby’s International Realty Team! Sonja has redefined the Customer Service Experience by selecting local experts that will assist you in your every need when it comes to buying or selling your perfect property. Plus, you’ll be working with Bainbridge Island residents who know and love every inch of what the island has to offer! Sonja’s reputation for building lifetime relationships is based on client commitment. That reputation combines with her local expertise as a Bainbridge Island resident and business owner and the global reach of the Realogics | Sotheby’s International Realty name to assure 100% client satisfaction. Bainbridge Island real estate buyers and sellers gain a personal representative with over 20 years of experience, and one who believes that the island’s community embodies the Northwest’s high quality of life. Sonja knows Bainbridge Island, and the Puget Sound real estate market, inside and out, and places all of her insight to work for each client. In addition to leading a thriving real estate brokerage, Sonja is a licensed Washington State General Contractor, an owner and principal partner of a customer resort home, commercial renovation and restoration company, and a historic commercial building ownership and management company. Karen knows how important relationships are in a close-knit island community and Realogics | Sotheby’s International Realty clients get a first-hand experience of Bainbridge Island camaraderie when working with her. She shares Sonja’s passion for finding the right home for each client, whether it’s a waterfront view property or cozy family home. An avid boater and outdoor enthusiast, Karen has a longtime love affair with the Pacific Northwest and Bainbridge Island, making her an excellent resource for new island residents. Because she grew up in the military, she understands that relocation is a source of both stress and excitement for families, and strives to make such transitions seamless. Karen’s dedication to clients, overall professionalism and attention to detail make her a valued member of Sonja’s team. Clients of Sonja’s realty firm know Stephen’s work even if they haven’t met him face to face. He’s the marketing professional behind the advertising, both print and online, that helps optimize the buying and selling experience for Sonja’s Realogics | Sotheby’s International Realty Bainbridge Island firm. 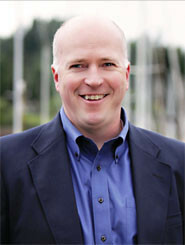 Stephen, a licensed Washington State General Contractor, also has over two decades of experience in business, construction management, marketing and aviation. A USAF Officer and Fighter pilot in the Gulf War, he’s now a B747 Captain for UPS, as well as working with Sonja’s realty business. Stephen’s childhood on Mercer Island instilled a strong community commitment, which he continues today as a volunteer firefighter, EMT/Medic, volunteer at Humane Society & Wildlife Shelters and a volunteer & supporter of the Housing Resources Board. In addition to Sonja’s direct team she would like to also include the extended team of professional individuals that contribute to her success. They are her team of Photographers, Caterers, Landscapers, Home Inspectors, Graphic Designers, Webmasters and many more. 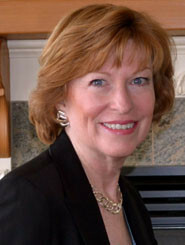 She carefully selects these professionals to ensure that your experience in Real Estate is second to none.